The ACMA automatically allows all radio amateurs to substitute their normal VK callsign prefix with the letters AX, on ANZAC Day, April 25. Australian Radio Amateurs will have the opportunity to operate using the AX prefix on ANZAC Day Wednesday April 25th as an Amateur Radio salute to the servicemen and women in the many conflicts. Individuals and radio clubs are encouraged to get on air using the AX prefix. CW was used as a means of communication during WW2, Korea, Malaysia and even early Vietnam. 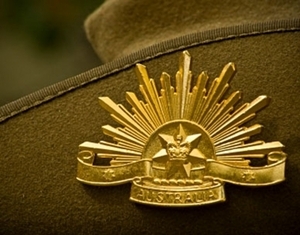 The use of CW has become a popular mode used by Amateurs on Anzac day. Please note: The use of the AX callsign prefix for the 24 hour period on Anzac Day 25th of April, is based on local time in your state not UTC time.